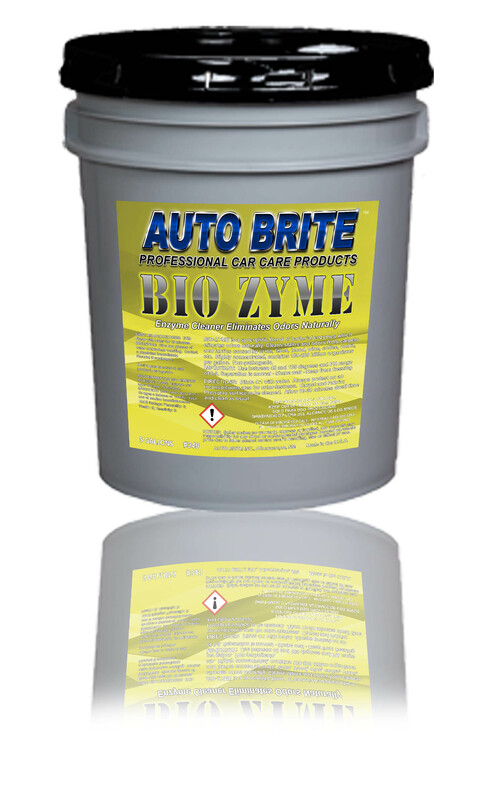 Bio-Zyme - Enzyme Cleaner and Deodorizer - A synergistic blend of bacterial enzymes which breaks down fats, grease and oils. Eliminates odors naturally. Cleans stains and odors from carpets and fabrics caused by urine, feces, blood, wine, coffee, and vomit. Non- pathogenic. Leaves fresh clean fragrance. Dilutes as much as 4:1 for maximum economy.